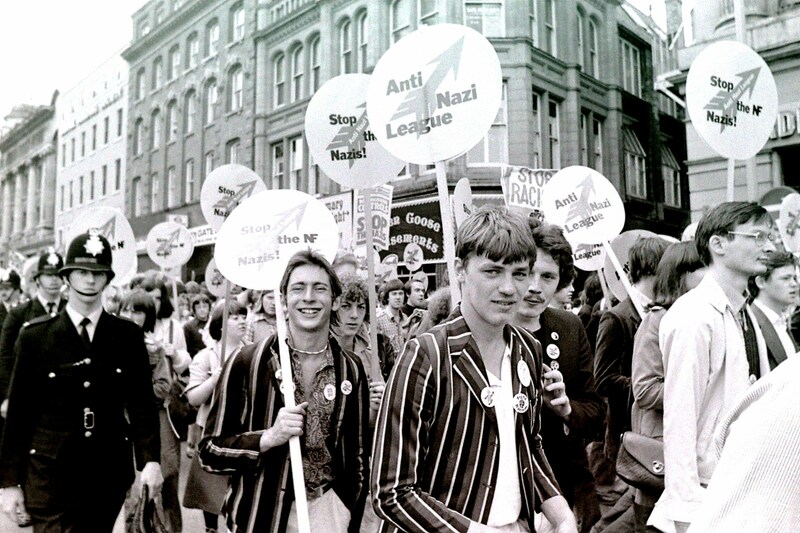 Led by Manchester Digital Music Archive (MDMA), the first public exhibition of photographs – taken by documentary photographer, John Sturrock on the day that the influential Rock Against Racism movement gathered anti-Nazi protesters for a rally from Strangeways Prison and marched through the city centre – shows the size, strength and diversity of the gathering. Concluding with an open-air concert at Alexandra Park, featuring Buzzcocks alongside Birmingham reggae icons, Steel Pulse, Rock Against Racism and Anti-Nazi League organisers succeeded in holding one of the biggest protest events to counter the rising political threat of right-wing organisations including the National Front. Tags: Manchester, NIAMOS, photo gallery, Rock Against Racism, We Are Dynamite!